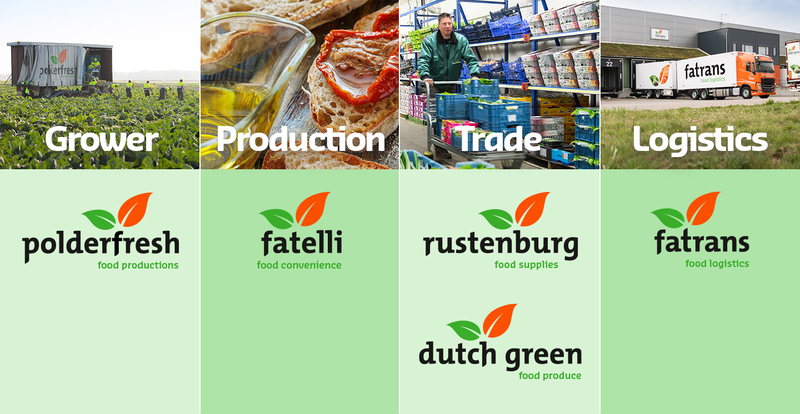 Fatels Food Group is a holding company that encompasses our four divisions Cultivation, Production, Trade and Logistics. Each company has its own working area and specialisms in the chain so that the divisions mutually complement and enhance each other. Our core team of 165 experienced experts are there for you every day in our locations in the Netherlands and Spain. grows top quality field vegetables. Polderfresh España grows top quality field vegetables under the Spanish sun. We’ve been doing this since 1977. What started with a small plot of land, has now grown into a growth acreage of 500 hectares in Lebrija. And that’s something you can taste. Annually, we grow different varieties of cauliflower, broccoli, kohlrabi and carrots, both conventional and organic. Our products find their way towards European clients in the processing industry, supermarkets and finally to the consumer, of course. We are the biggest processor of organic carrots in the Netherlands. From the Noordoostpolder in the Netherlands, we work with regional partner growers so that we can offer the right quality product at exactly the right moment to our clients, throughout the year. Annually, we grow, wash, process, and package, 18 million kilos of carrots, of which 60% are organic carrots. Besides a processing line for conventional products, we also have a complete organic processing line for our organic products. Furthermore, we grow in approximately 80 hectares of soil, cauliflower and broccoli in all shapes and sizes. Annually, we grow, wash, process, and package, 18 million kilos of carrots, of which 60% are organic carrots. Tasteful salad enrichers, convenience products & tailor-made food concepts. Our high-care production facility is located in Dronten. Here, we process taste enhancers such as cheese, sundried tomatoes and olives. This facility is also designed to produce convenience products such as tapas concepts, cauliflower and broccoli rice, spreads & dips. Huge and varied range, fresh every day. At the Food Center Amsterdam, the wholesale market in food for the Amsterdam region, you will find Rustenburg Groothandel. We deliver a wide range of fresh fruit and vegetables to food service and catering and high street traders. Are you looking for Thai basil, quince, or rawit chillies? Then ask our experts, because they have all the knowledge. Dutch Green is the import company of the Fatels family. As a sale organisation, we specialise in putting on the market southern European fruit and vegetable products. Especially during the winter, we import citrus products, field vegetables and greenhouse vegetables from our growers. In the summer, we import summer fruits such as melons and grapes. Throughout the year our sale focuses on retail, discount, food service and wholesale, in European and non-European countries. Daily scheduled service to renowned supermarket chains in the Benelux countries and Germany. Fatrans is a specialist in conditioned transport of fresh products for the food industry. We offer food producers and suppliers a daily scheduled service to renowned supermarket chains in the Benelux countries and Germany. Big and small volumes delivered fast and on time. With 10,000 m2 of warehouse, Fatrans Logistics B.V. offers everything for storage, transshipment, cross docking, stock management and order picking activities, for food and food-related products. Every day, our people are busy sorting, order picking, repackaging, labelling and packaging, so that shipments are selected carefully and are ready in time for transport to the distribution centres of retailers both in the Netherlands and abroad.